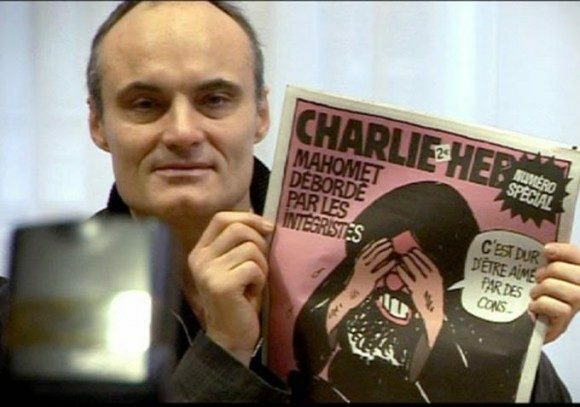 The documentary It’s Hard Being Loved By Jerks (C’est Dûr D’Etre Aimé Par Des Cons), which chronicles the 2005 trials between satirist publication Charlie Hebdo and the Muslim French Council, will now have a run in American theaters this spring. Kino Lorber, an international film distributor, has stepped forward and acquired the rights to the documentary, reportedly aiming to release it in U.S. colleges and libraries as well as major cities. The film, directed by Daniel Leconte (writer of 2010’s Carlos), features interviews with many Hebdo cartoonists who were murdered in the January 7th shooting, as well as real-time footage of the legal and ideological conflict aroused when the publication re-printed Danish cartoons depicting the prophet Mohammad in 2005. The movie observes the consequences and conversations swirling around the issue. Kino Lorber does not seem discouraged by the idea of some rejection among U.S. exhibitors, quoting in an exclusive with Variety that “as a distributor, freedom of speech concerns me at first range and today it is more important to keep defending those ideas. More than ever”. It’s Hard Being Loved By Jerks was re-released in France on January 22nd of this year, and still continues to run in a handful of French theaters. All French ticket sales are reportedly being donated to Charlie Hebdo.